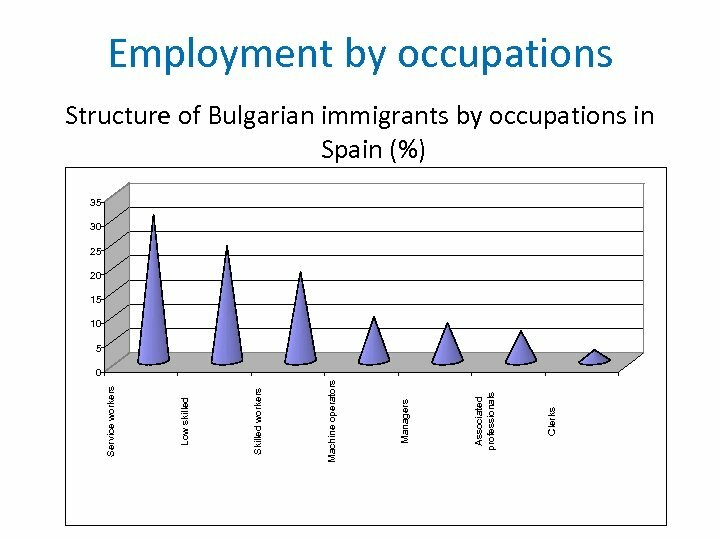 Bulgarians in Spain Nearly 70% of the Bulgarian immigrants in Spain are employed. The main part of them had no assured working place at their arrival in the country (76, 8%) and they accomplished their departures through invitations from relatives or without preliminary preparation. 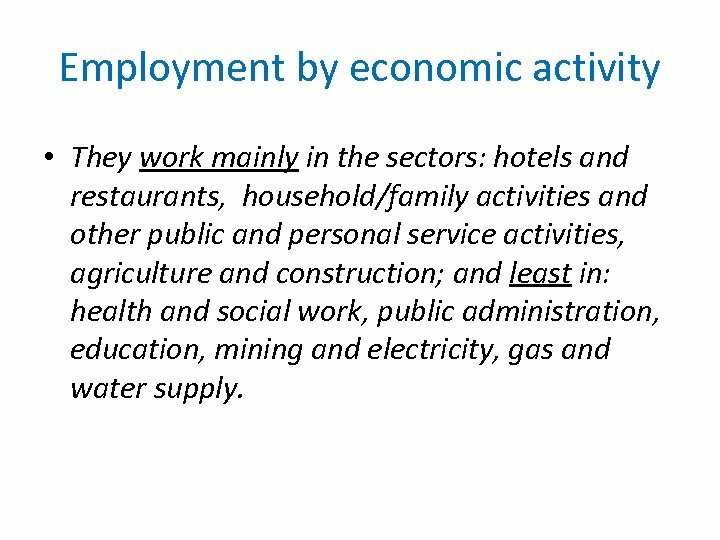 Employment by economic activity • They work mainly in the sectors: hotels and restaurants, household/family activities and other public and personal service activities, agriculture and construction; and least in: health and social work, public administration, education, mining and electricity, gas and water supply. 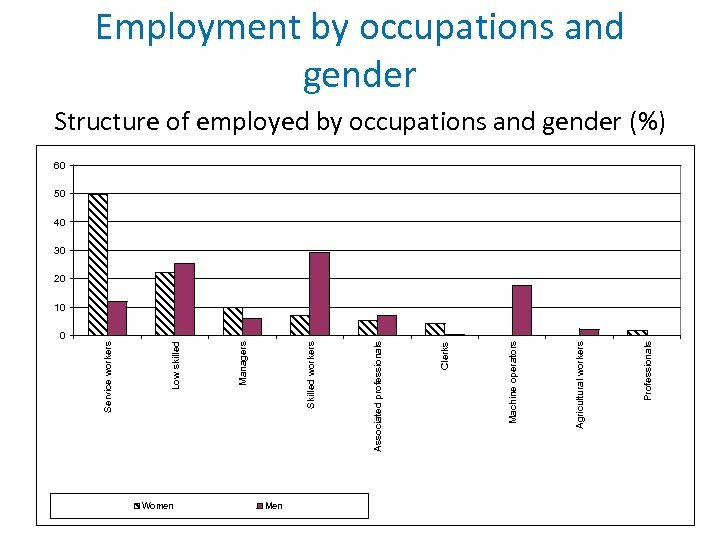 Employment by occupations • Bulgarians work mainly as: service workers, unskilled workers and skilled manufacturing workers. Smallest is the share of the employed as clerks and professionals. 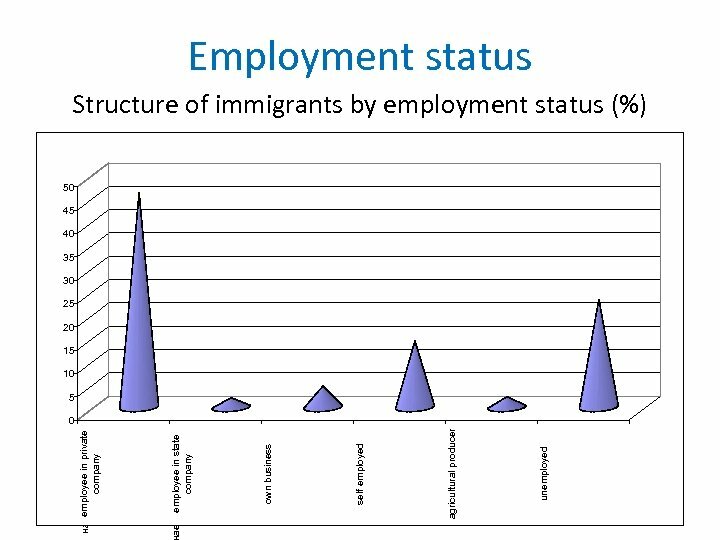 Employment according to the acquired qualification • More than half of the immigrants work at places which require qualification similar to the qualification they have acquired, but 42, 1% work at places which require lower qualification. 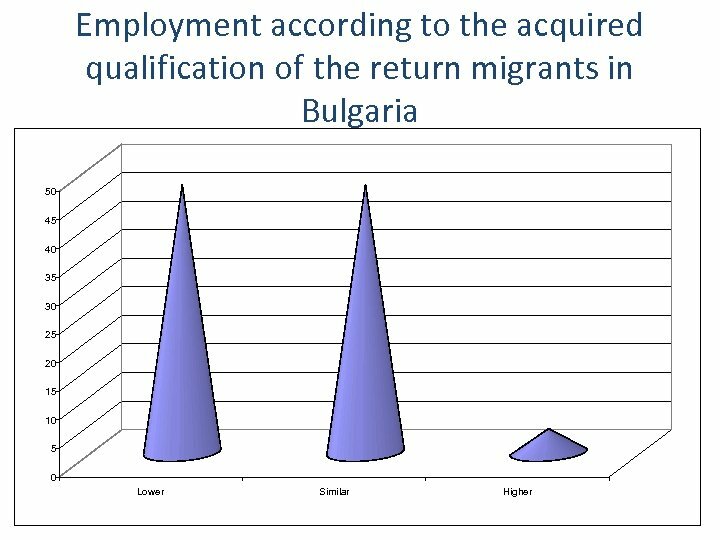 There are disparities between the previous employment in Bulgaria and the present in Spain, especially for the qualified and highly qualified specialists, which demonstrates that Bulgarian immigrants lose qualification. Employment by type of contract • The prevailing part of the immigrants are insured and work with temporary or permanent employment contract, or as self employed. Not a small part of them, however, work without a contract (most of which women), in the grey sector of the Spanish economy, and 23, 1% are unemployed. Employment of Bulgarians abroad • The results from the survey show that there are no substantial differences between the status of the employed Bulgarians on the Spanish and other countries’ labour market. 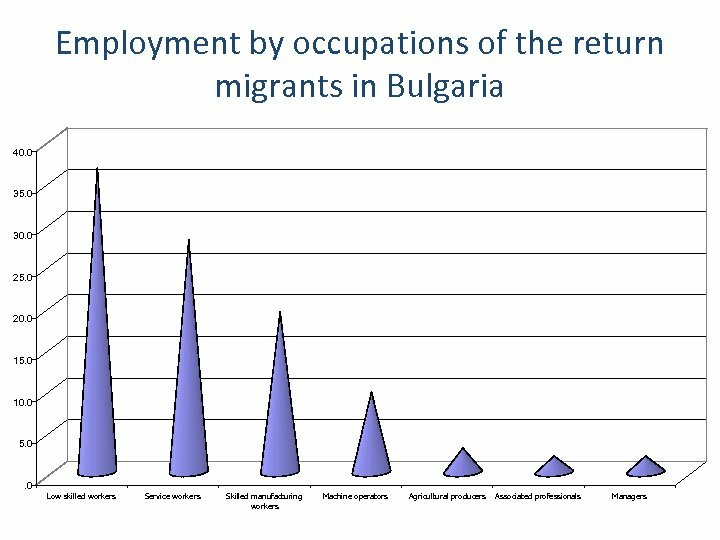 Bulgarians abroad • Despite that a large part of the Bulgarians abroad lose qualification, that many of them work in the grey sector of the economy or are unemployed, they prefer to live and/or work abroad.